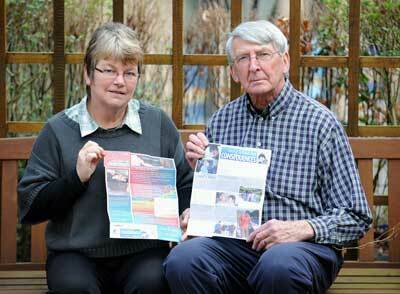 The z-fold leaflet has now been distributed to schools, youth clubs and community centres. 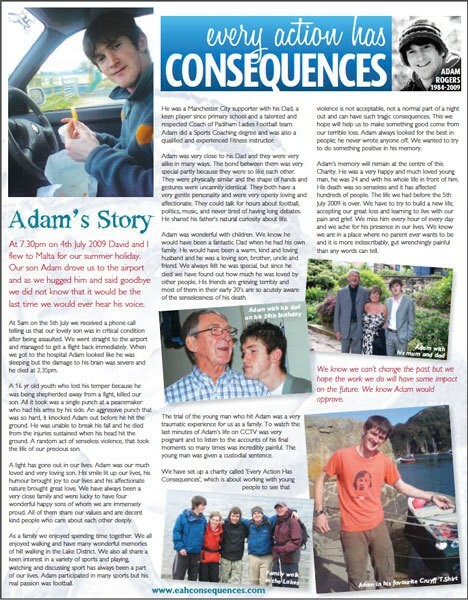 It tells Adam’s story and explains the consequences to all involved when someone has a momentory loss of control. It has already proved to be be a very useful tool to use when talking about the charity. 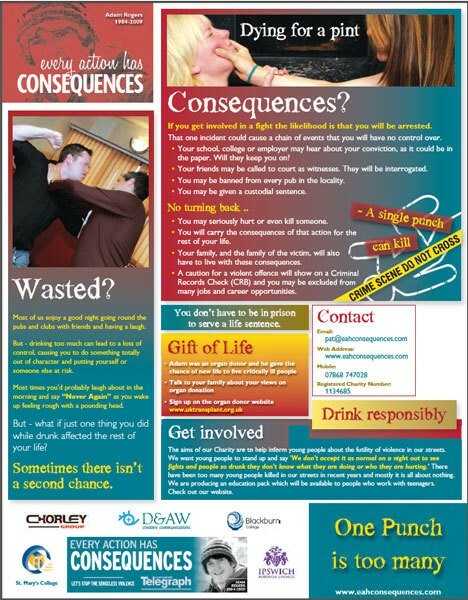 We will be sending the leaflets out with the Education Packs to schools and colleges. If you would like some of the leaflets please email me with your contact details.